This meatless main is extremely versatile—serve it in tacos or an omelette, atop crisp butter lettuce, on nachos... This is a recipe from Trader Joe's that is Dee approved! Add 1 tablespoon olive oil to a large skillet over medium-high heat. Add half of the diced onion to pan and sauté until translucent, 3-5 minutes. 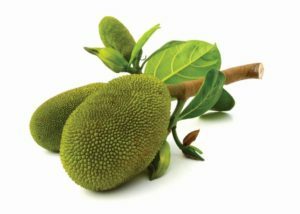 Meanwhile, roughly chop jackfruit. 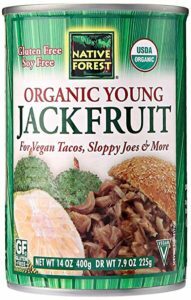 Add jackfruit to pan and sauté another 5 minutes. 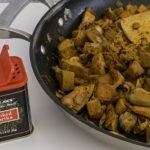 Add cumin, nutritional yeast, oregano, paprika, salt and pepper to pan, stirring to coat jackfruit. Sauté 3 minutes. 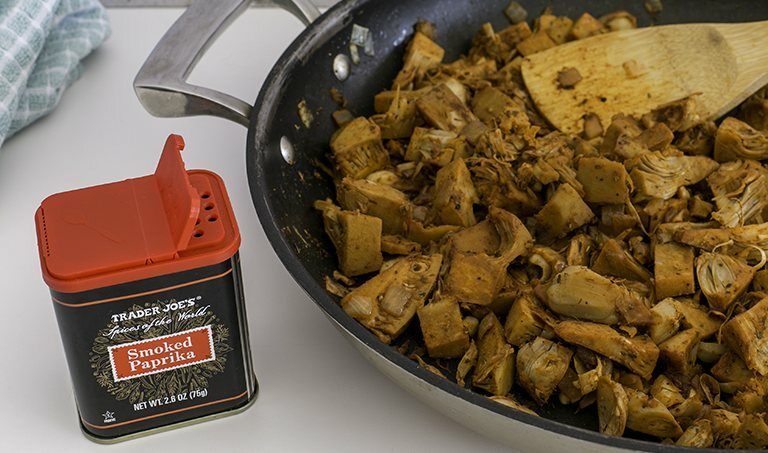 Add coconut aminos, apple cider vinegar and orange juice to pan and sauté an additional 5 minutes, breaking jackfruit down into smaller pieces with a wooden spoon. Add remaining tablespoon olive oil and stir to coat. Let cool slightly. 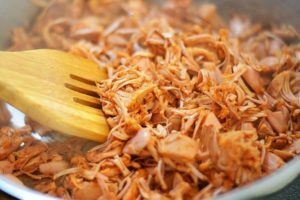 Garnish cooked jackfruit with remaining diced onion and lime juice. Enjoy!